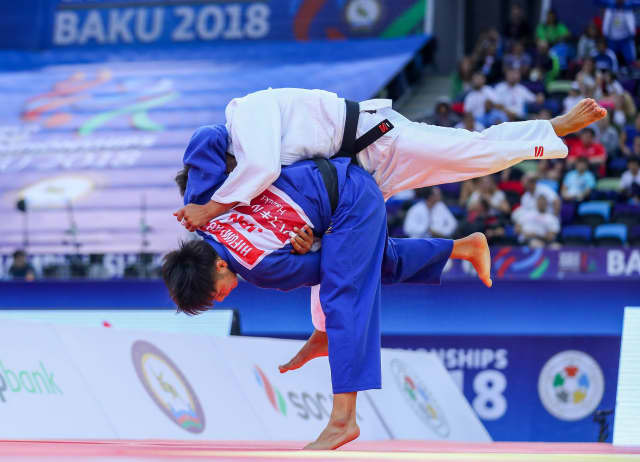 All judo enthusiasts were eagerly awaiting this second day of competition at the Baku World Judo Championships 2018 in Azerbaijan, but perhaps more, they were waiting for the siblings Abe Uta and Abe Hifumi to perform on the same day. If Hifumi had already climbed the steps of the world podium, Uta still had to prove that she had what it takes to be a great champion. At the end of this superb second judo day in Baku, Neil Adams gives us his technical analysis. What can I say after such a day? It is all about technical excellence and both Abe Uta and Abe Hifumi proved to be the best technicians without any doubt. It is interesting to underline that a good technique can win at the beginning or at the end of the match and it is because you can perform such a technical level that you are a great champion. 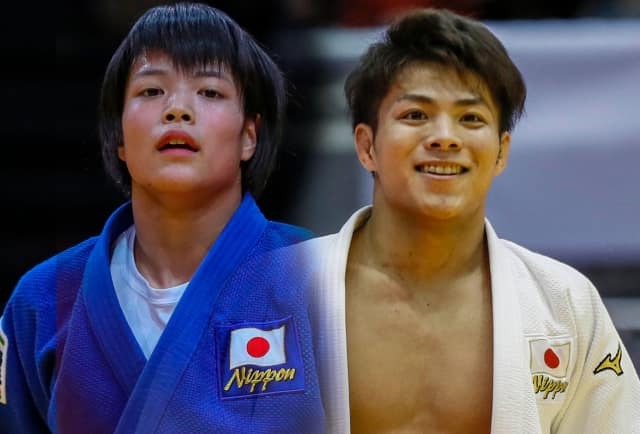 In the upcoming days, we will talk a lot about the amazing story of the Abe siblings and they deserve it, but I want to emphasize the fact that what makes them amazing champions is their precision. If I look at the uchi-mata produced by Abe Uta in the final, I must say that it was one of the most amazing throws of the competition so far and in a World Championships final generally speaking. Her support foot was so deep to execute the movement that her opponent had no escape. The deeper the foot is, the higher the leg can go. Shishime Ai was literally flying. It is also amazing to see how Abe Uta controlled the whole movement. 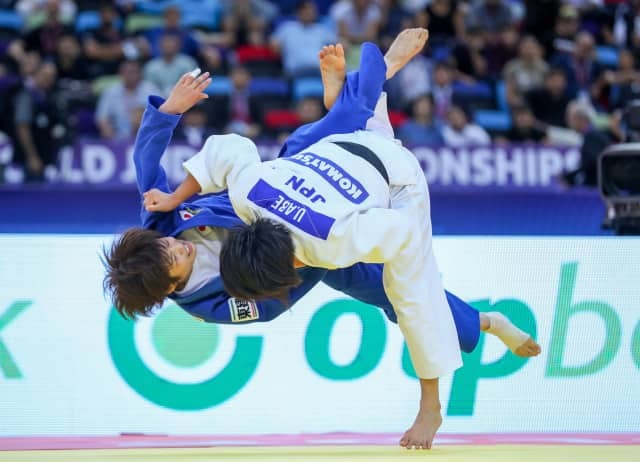 Another key point is about readjustment and Abe Hifumi is a perfect exemple to be followed by any judoka. In the final for instance, he launched 7 or 8 attacks, which didn't give him the possibility to score, but we could feel that he was adjusting his body and position to the moves of Serikhanov (KAZ) to be able to finally score. One adjustment after another he was getting closer to scoring. This is really the key in high level judo. You know, nothing stands still, the judoka can change direction at any time. Nothing is written, so they have to adapt and readjust permanently. The hand control of both Uta and Hifumi are absolutely amazing. When watching at them, you can realize that they must have repeated thousands of times the techniques they are good in. I am sure they have repeated over and over again, producing the perfect uchi-komi and today they just reproduce what their body knows by heart. Good repetition leads to permanently good techniques. I want also to underline that we have seen over the past two days a quite balanced judo. I mean between the tachi-waza (standing) and the ne-waza (ground work). In between there is the transition and the athletes are more and more prepared to control that so important transition phase. This had been dictated by the new rules and this is right. It must be said that the application by the referee is good. They give more time to the transition and we can see the results. The competitors are performing by throwing and then by going to the floor, with very good transitions in between. I love that judo. This is what we can now see on the world stage and this is what teachers from all over the world need to transmit to their pupils. In judo we can't only concentrate on one dimension, let's say tachi-waza and forget about the other one. We have to be good in both and to do so, we have to be good in transitions. I have seen really beautiful judo during the first two days and I'm looking forward to seeing the upcoming days. Neil Adams Neil Adams (born 27 September 1958 in Rugby, Warwickshire) won numerous Olympic and World Championship medals in judo representing Great Britain. Adams was the first British male to win a World title in the 1981 World Championships. An Olympic finallist in 1980 and 1984, he is a member of the IJF Hall of Fame. A renowned technician and judo specialist, he is considered as the voice of judo as an IJF commentator.